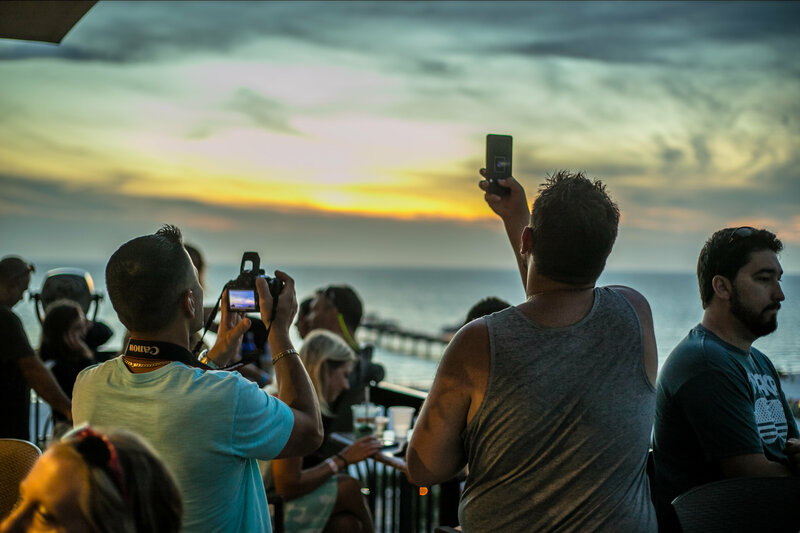 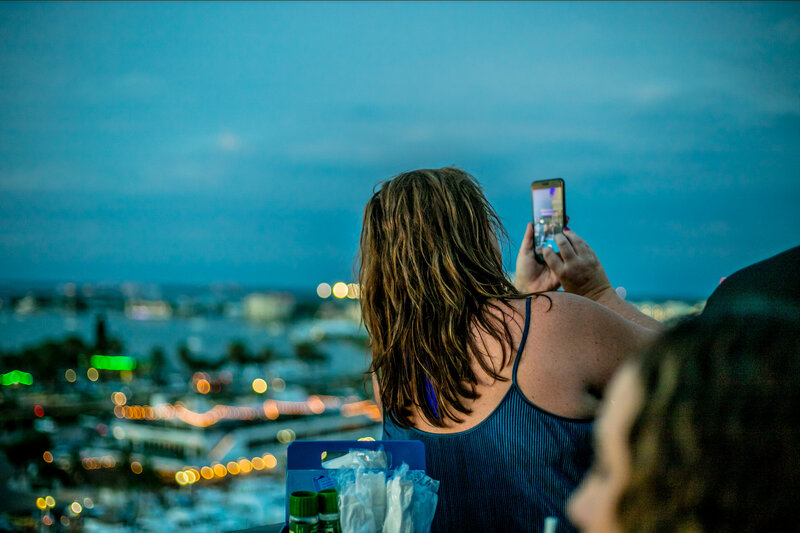 From our rooftop bar to each of our spacious hotel rooms, discover your next unforgettable vacation by browsing through our photo gallery. 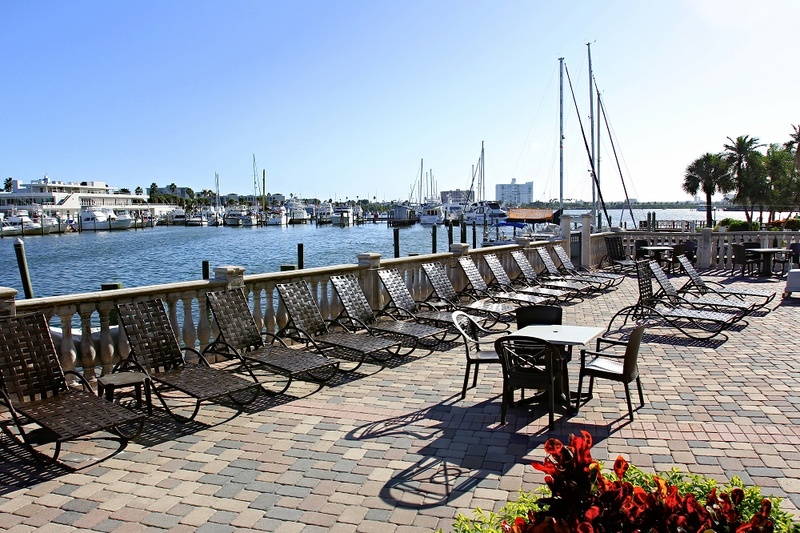 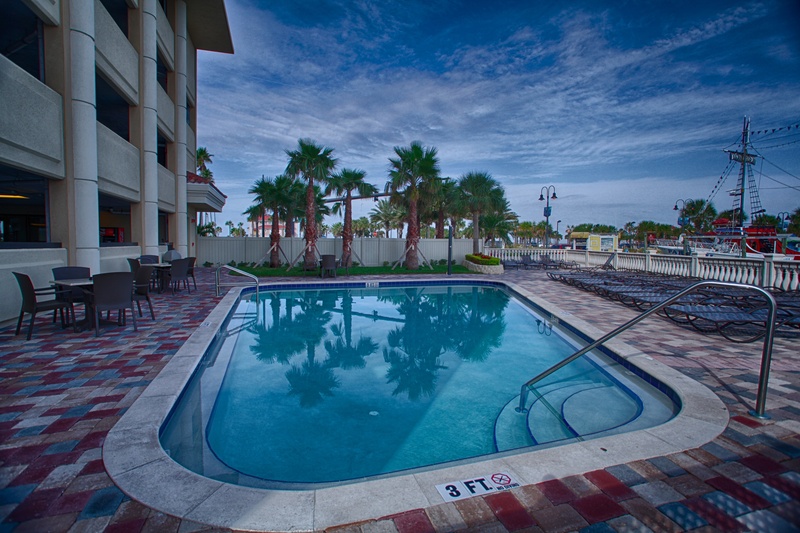 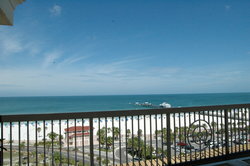 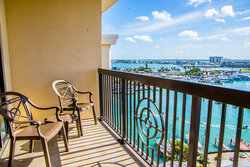 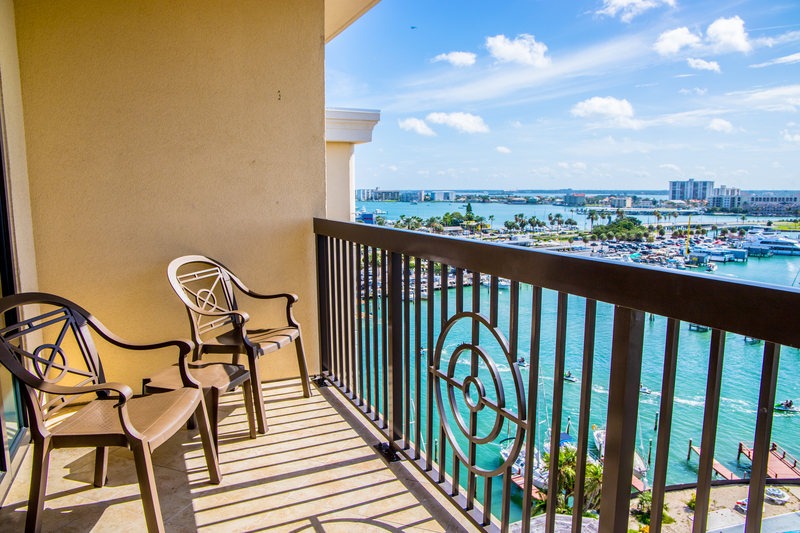 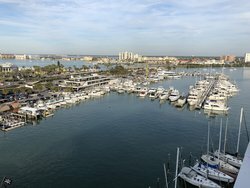 When it comes to beach and marina views, a picture is worth a thousand words. 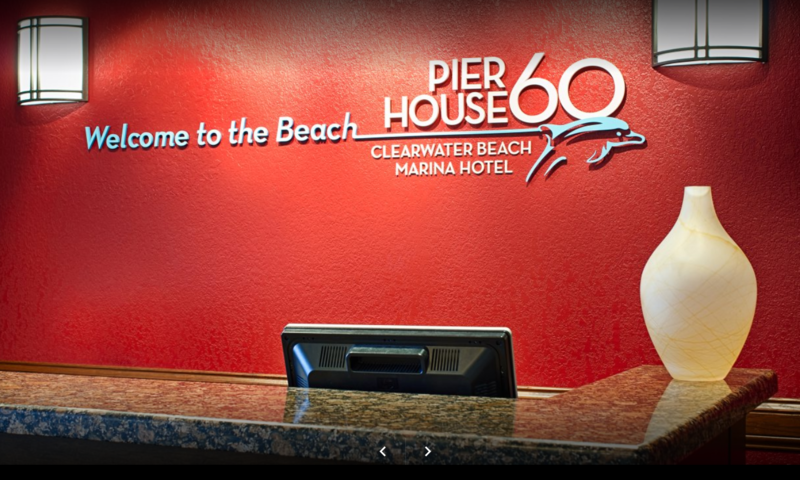 Get a glimpse of a getaway of surf, sand, and sun, and experience it for yourself by booking a stay with us today! 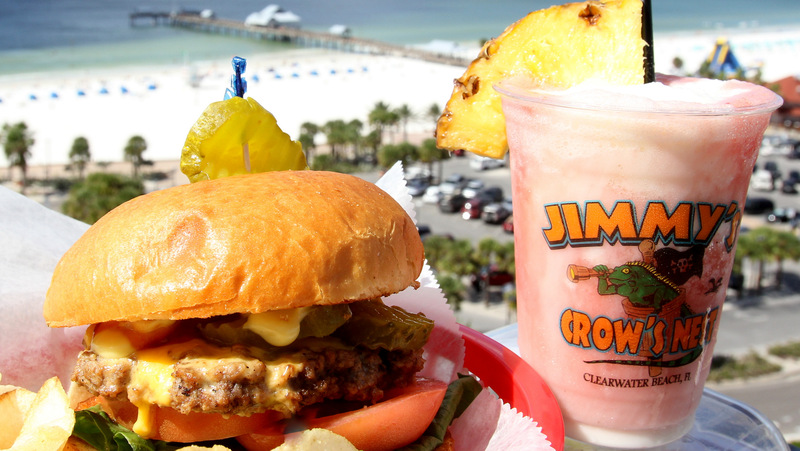 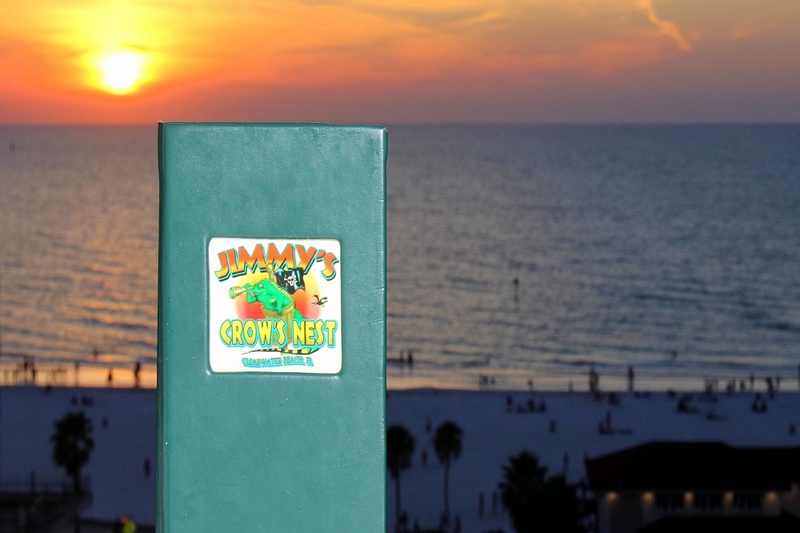 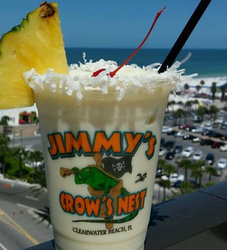 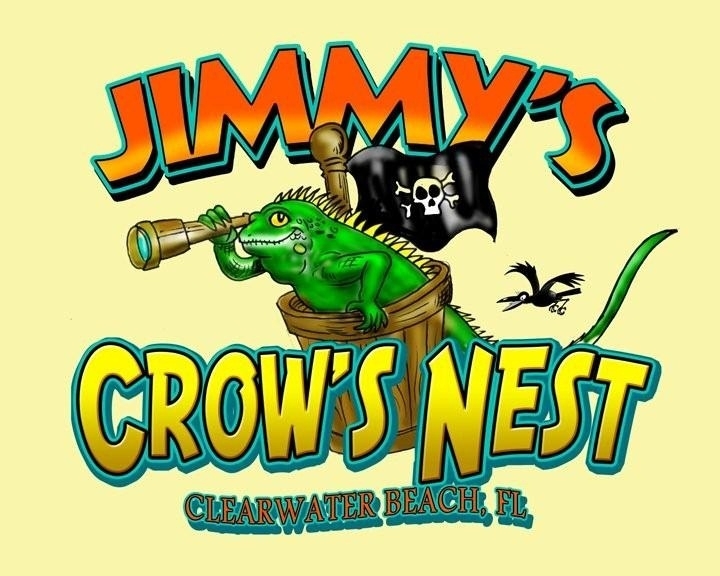 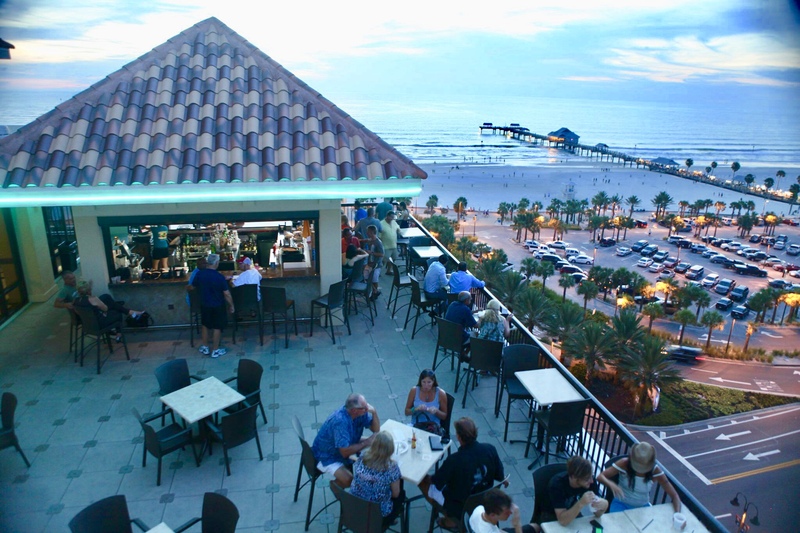 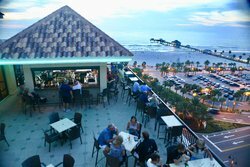 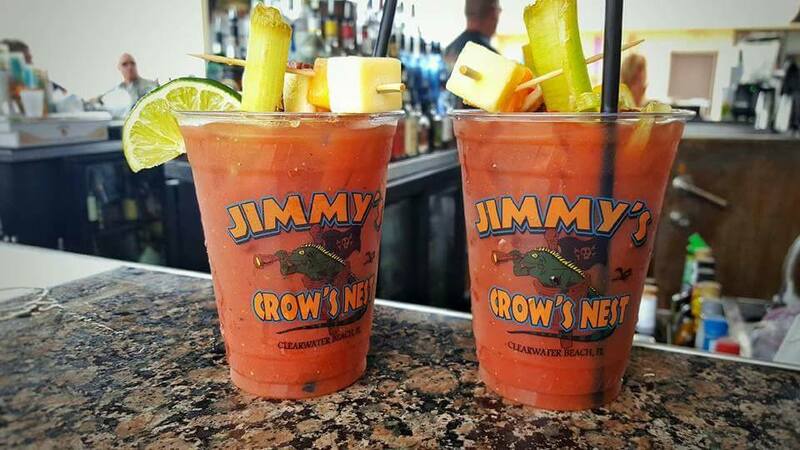 Cap off the perfect day by joining us at our 10th floor rooftop bar, Jimmy’s Crow’s Nest. 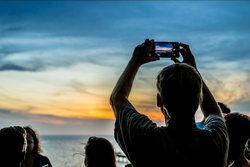 Pair a scenic sunset view with a complimentary sunset shot. 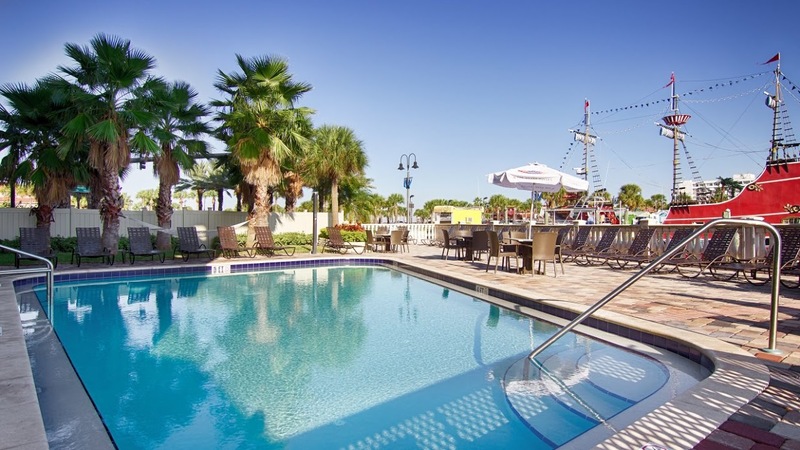 Dive into the refreshing waters of our heated outdoor pool, or catch some rays while watching all the action at the marina from your pool lounger, provided at no additional charge. 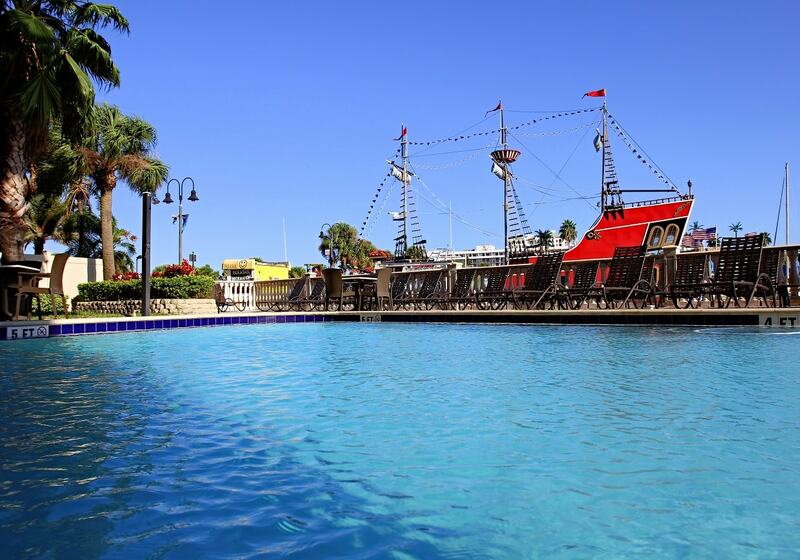 Forgot your towel at home? 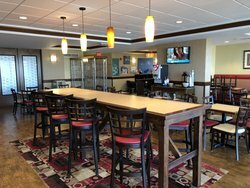 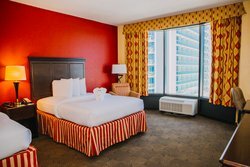 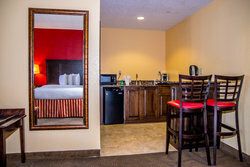 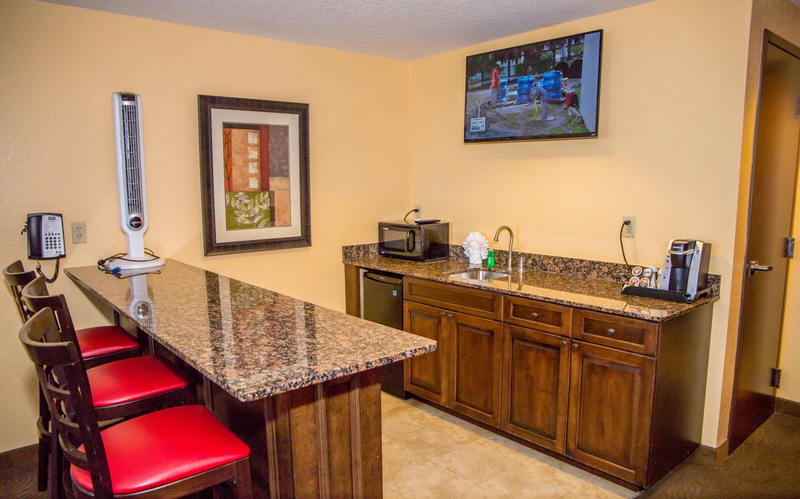 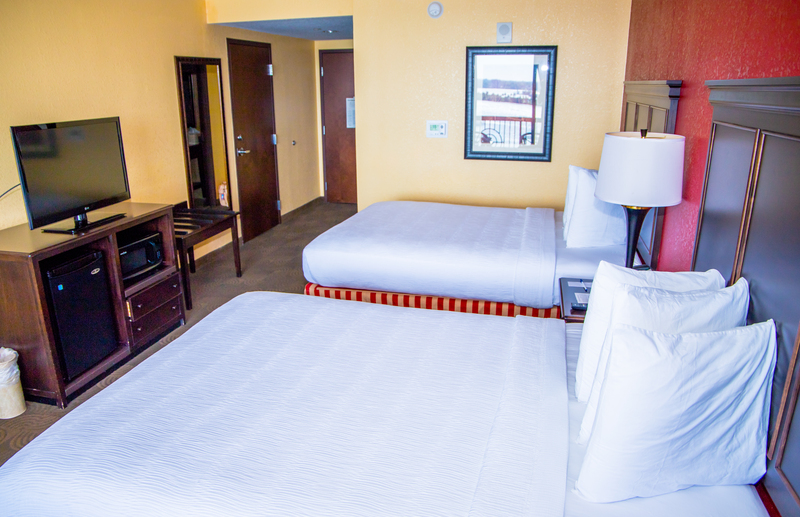 We’re pleased to provide you with one during your stay! Step into the refreshing waters of our heated outdoor pool, or catch some rays while watching all the action at the marina from your pool lounger. 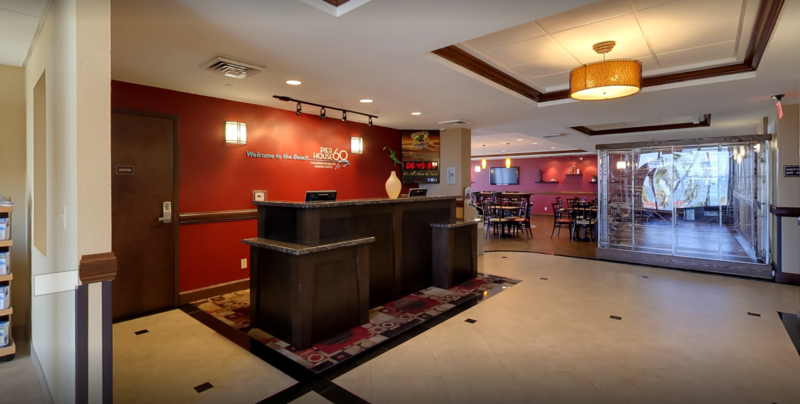 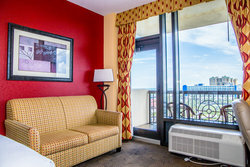 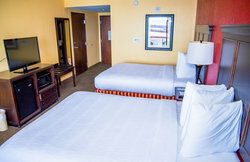 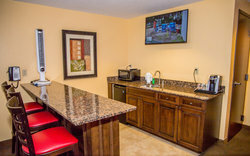 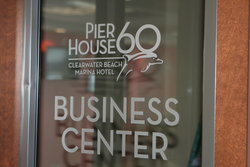 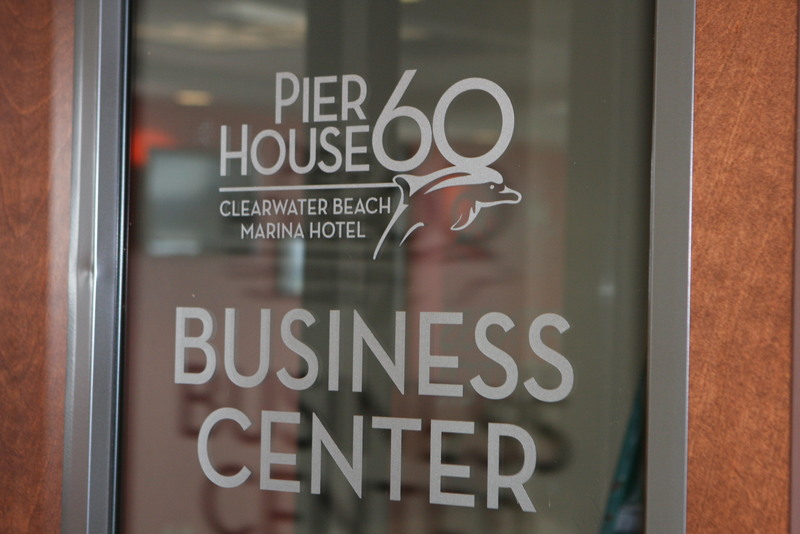 Stay connected with our business center located off the lobby! 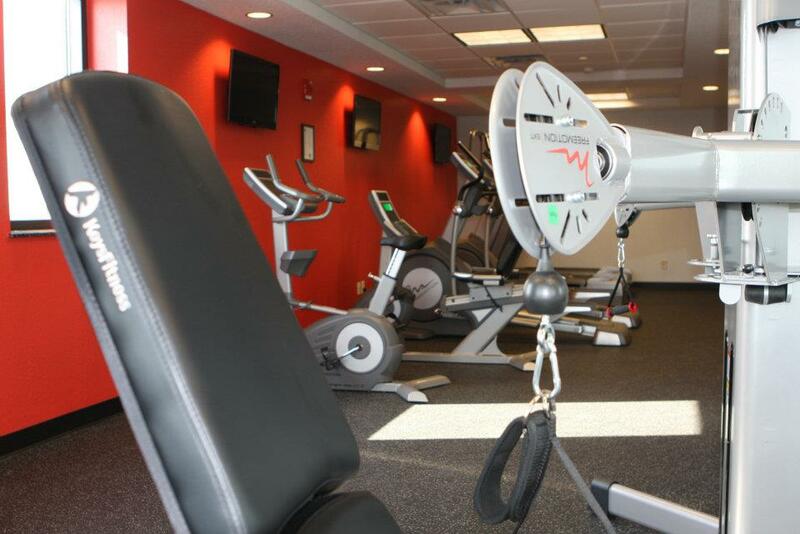 Our updated fitness center includes state-of-the-art equipment and facilities. Get a light workout in and break a sweat! 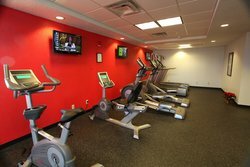 The fitness center includes treadmills and elliptical machines, as well as televisions for your entertainment. 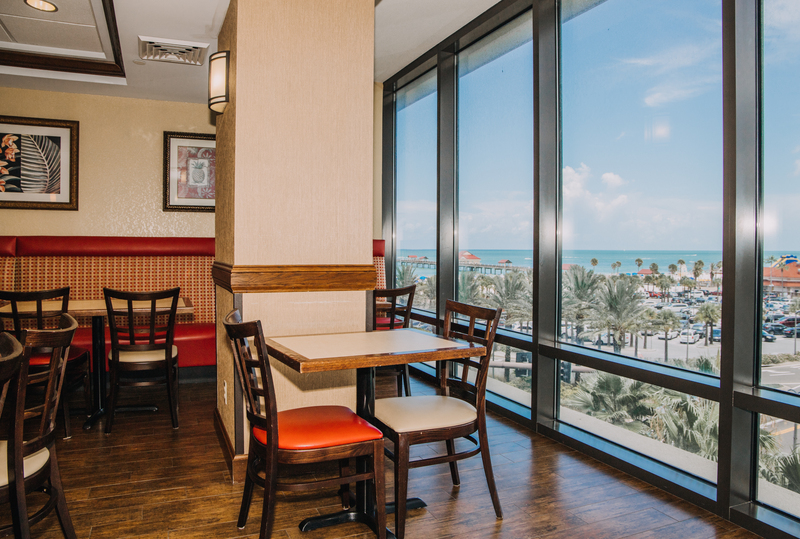 Open every day at 5:30 AM until 11 PM, so stop by after a long day of work or in the morning to kick start your day! 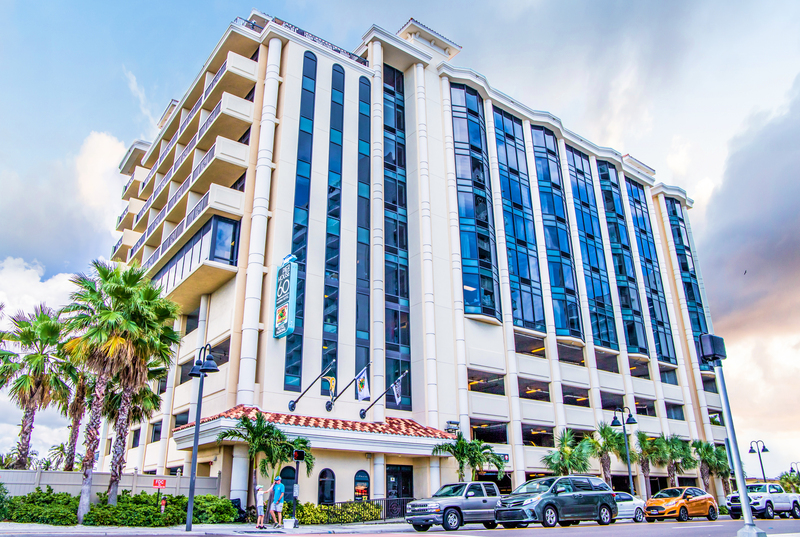 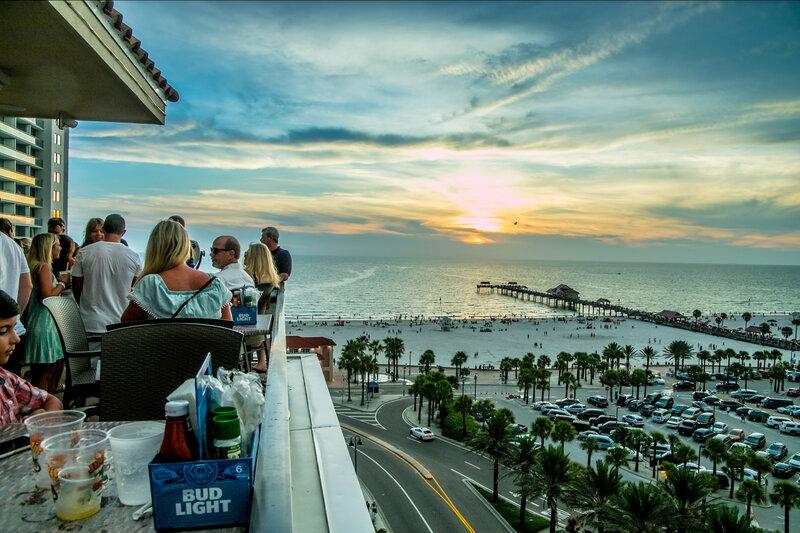 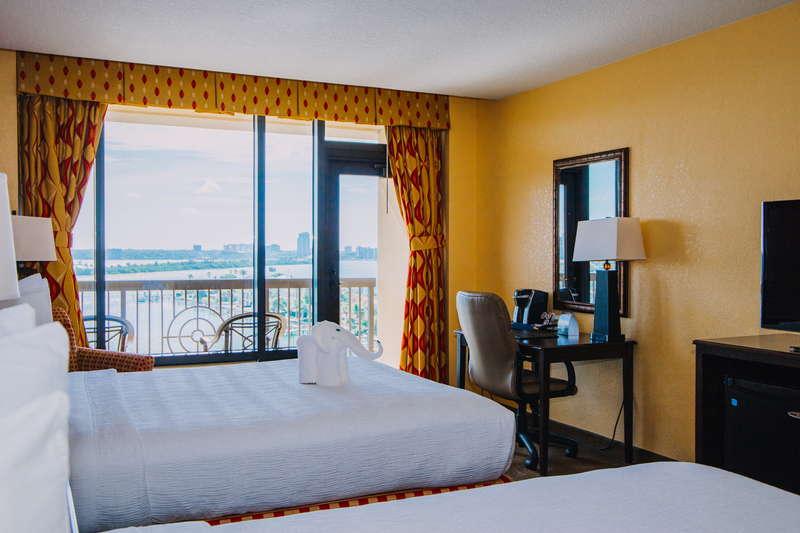 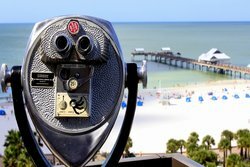 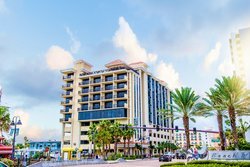 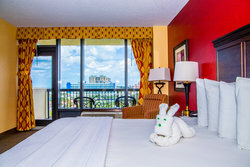 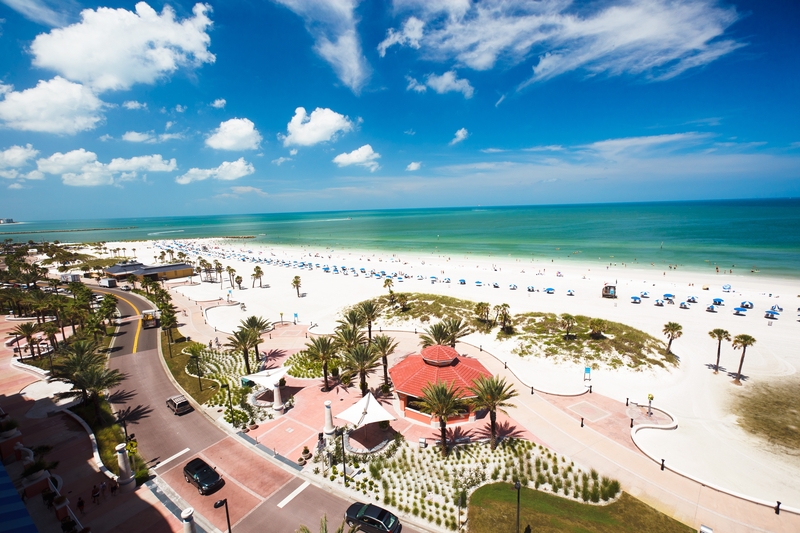 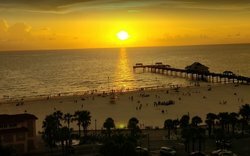 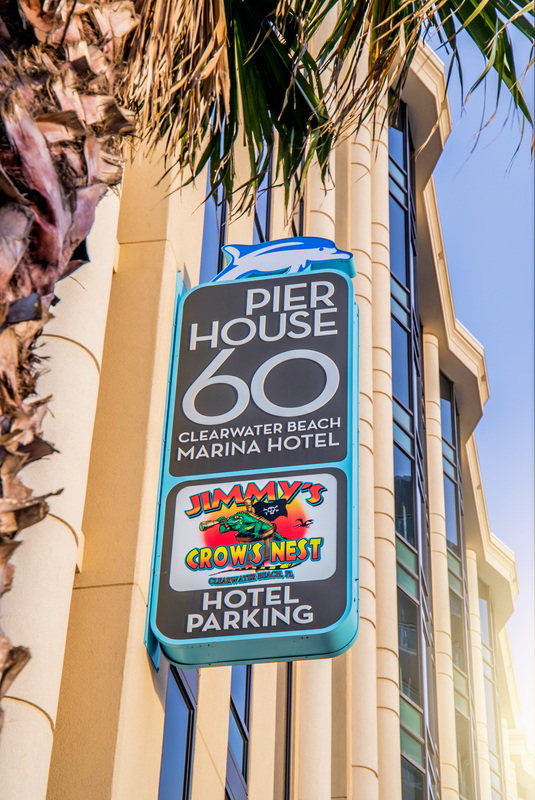 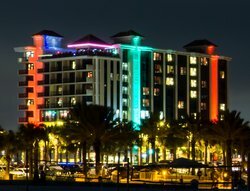 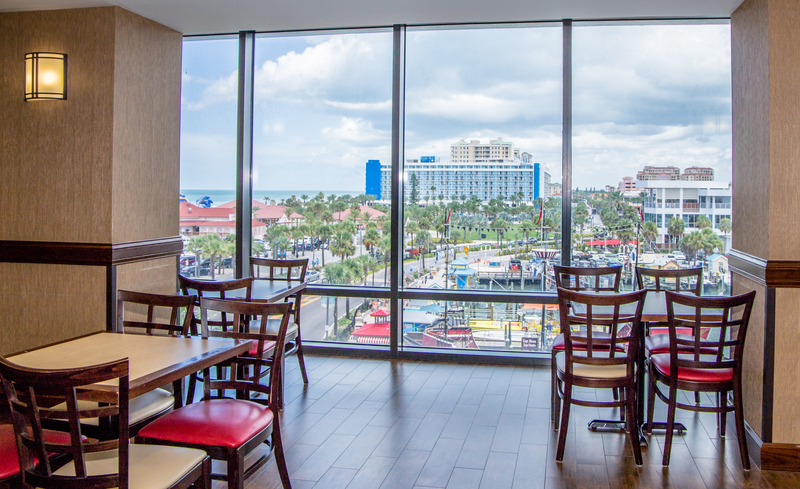 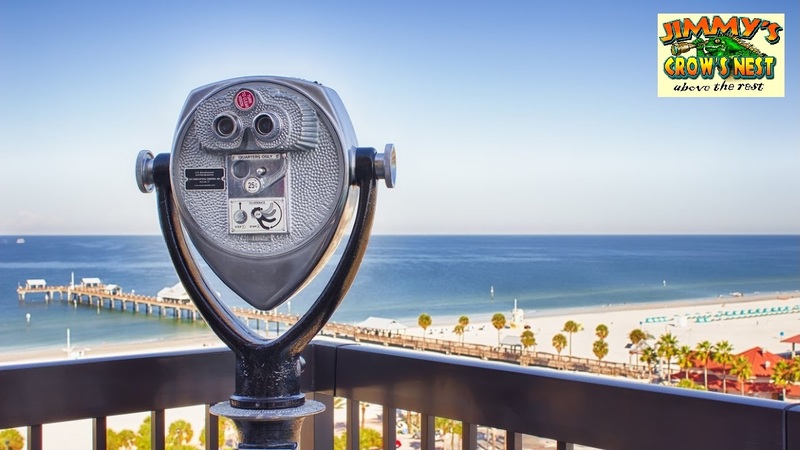 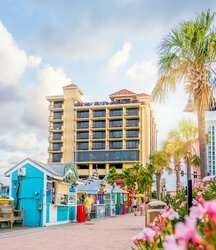 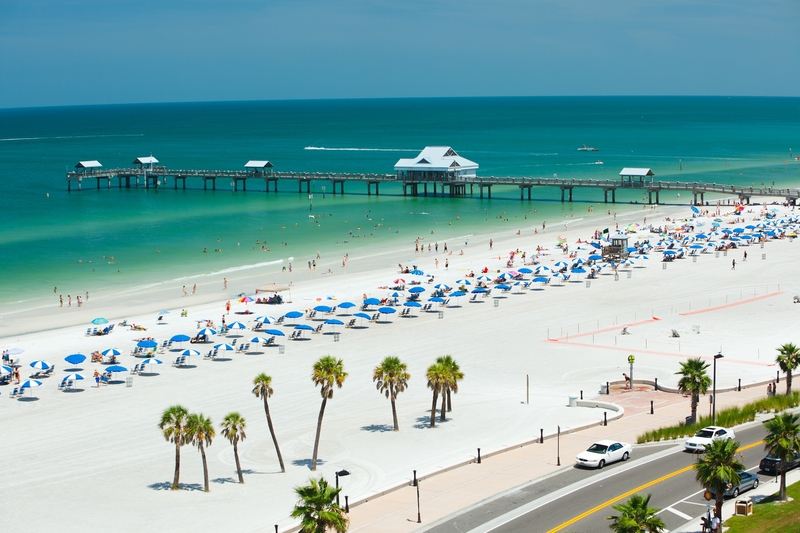 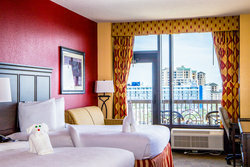 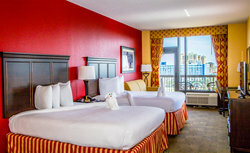 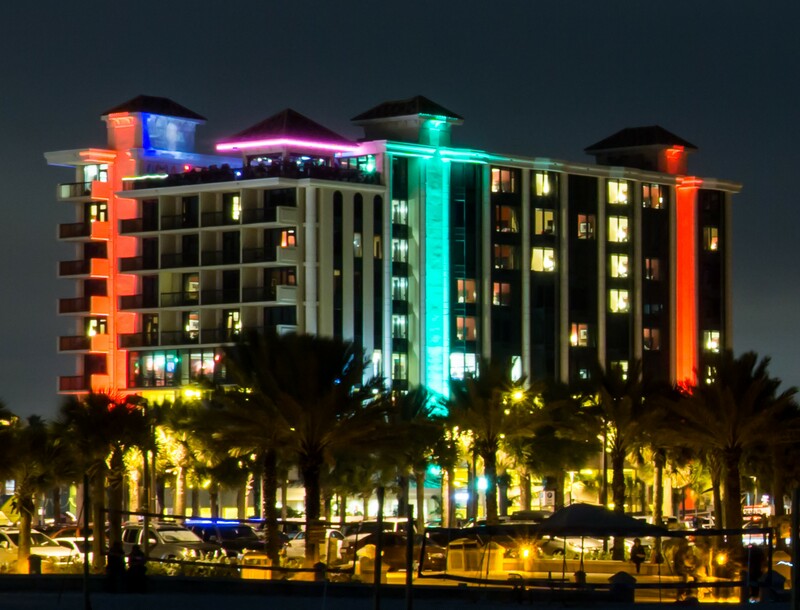 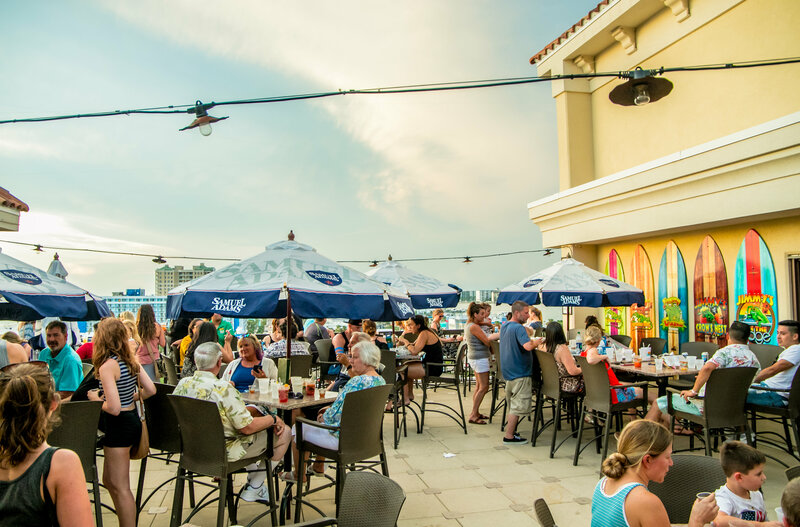 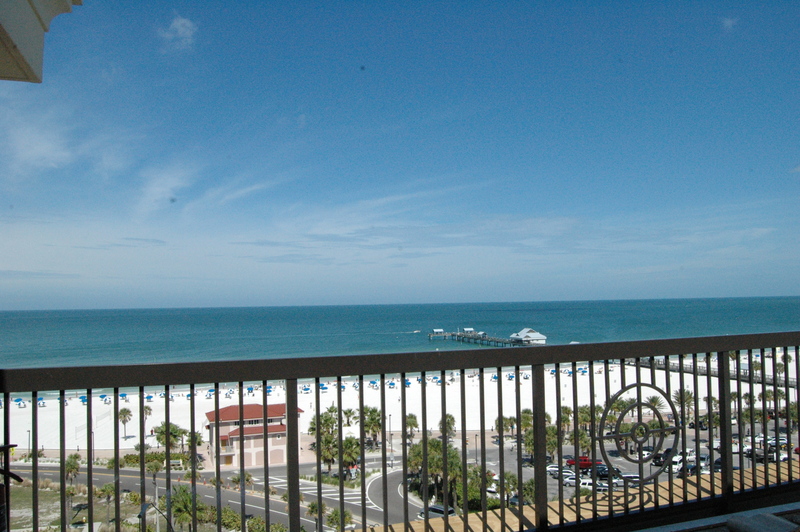 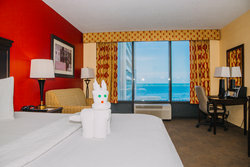 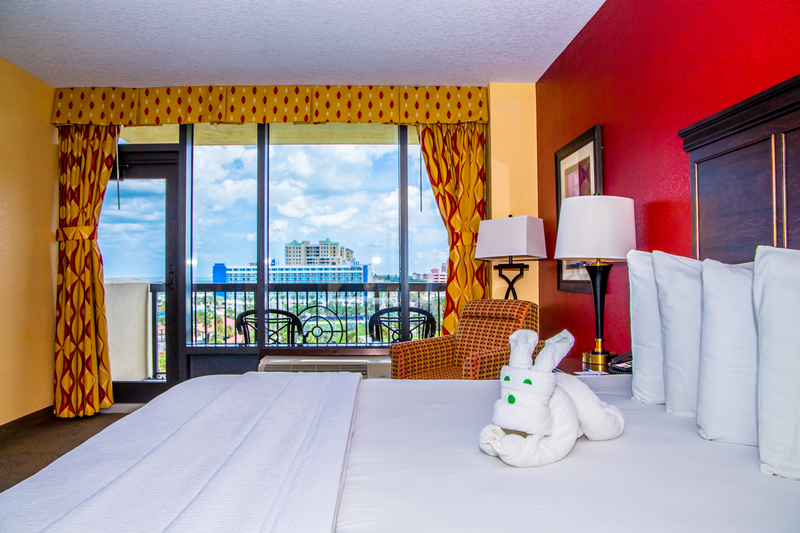 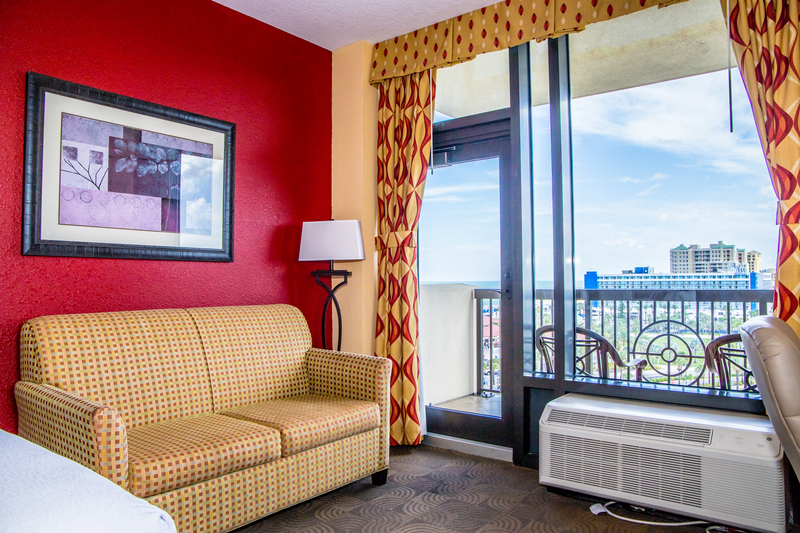 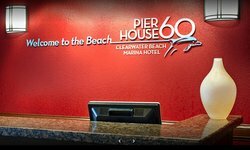 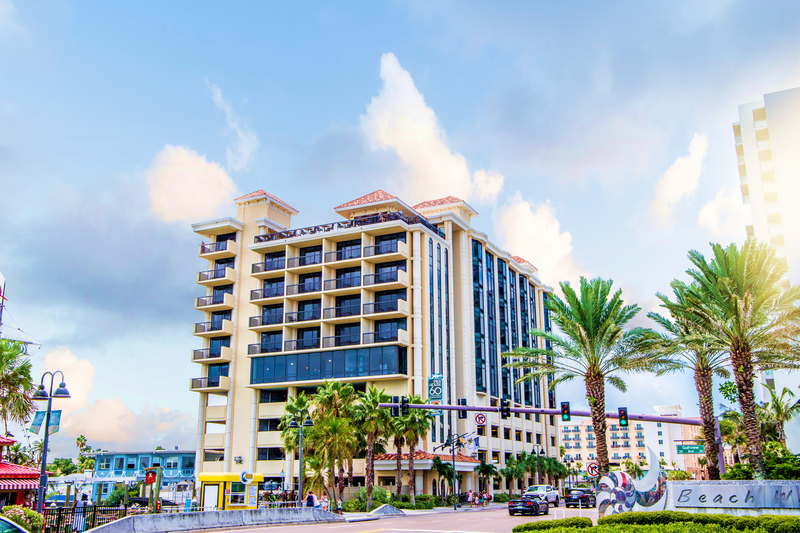 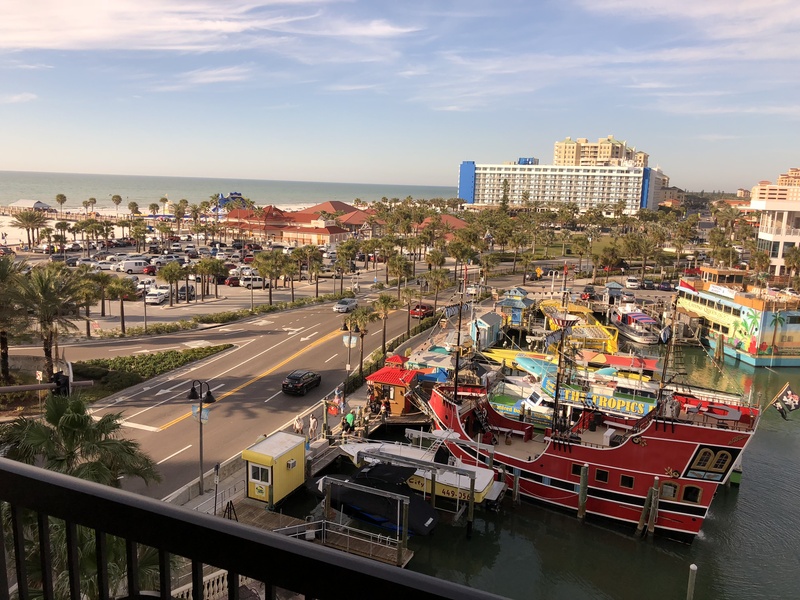 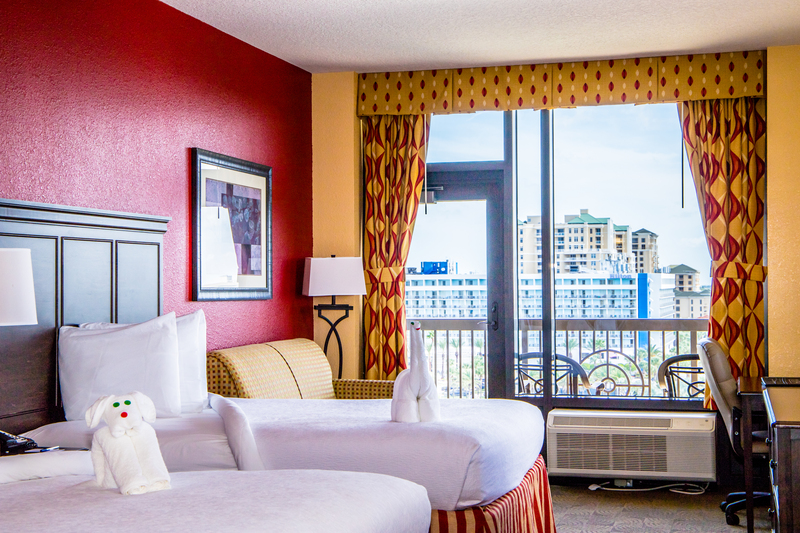 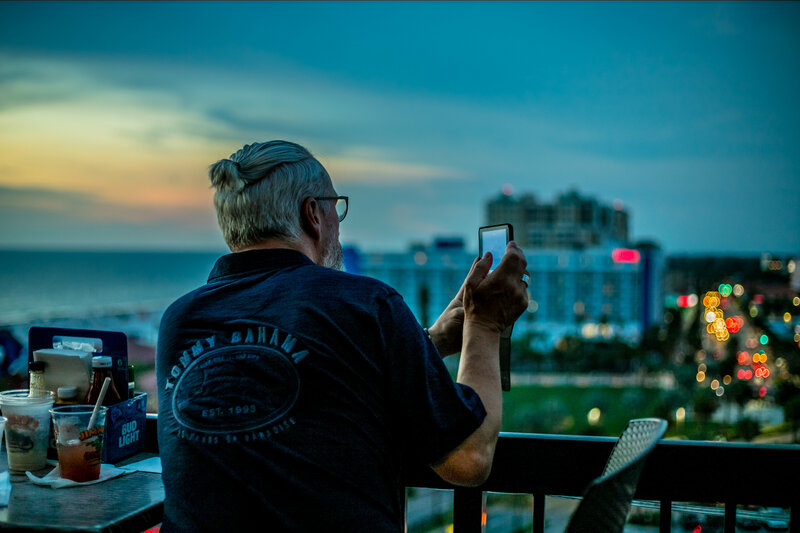 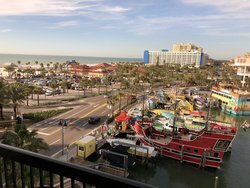 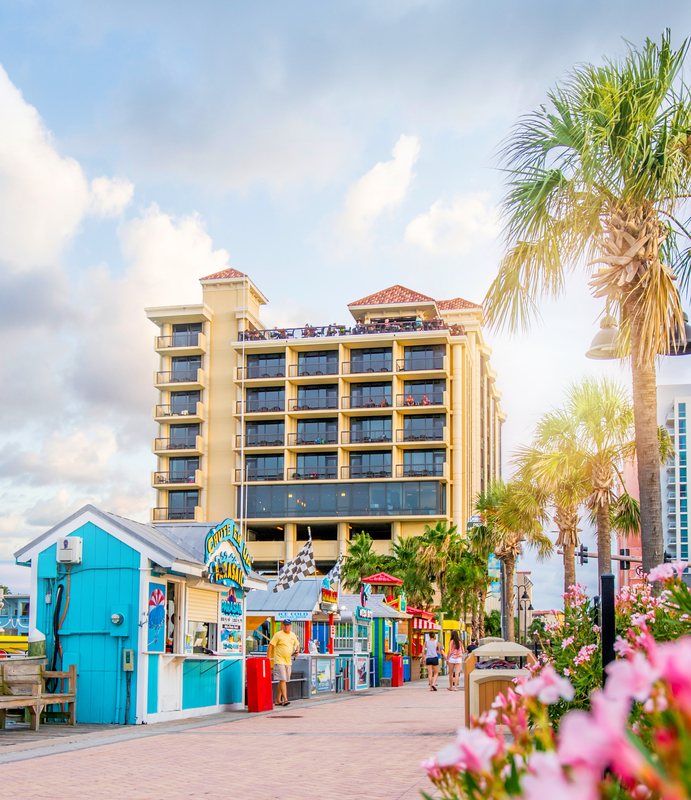 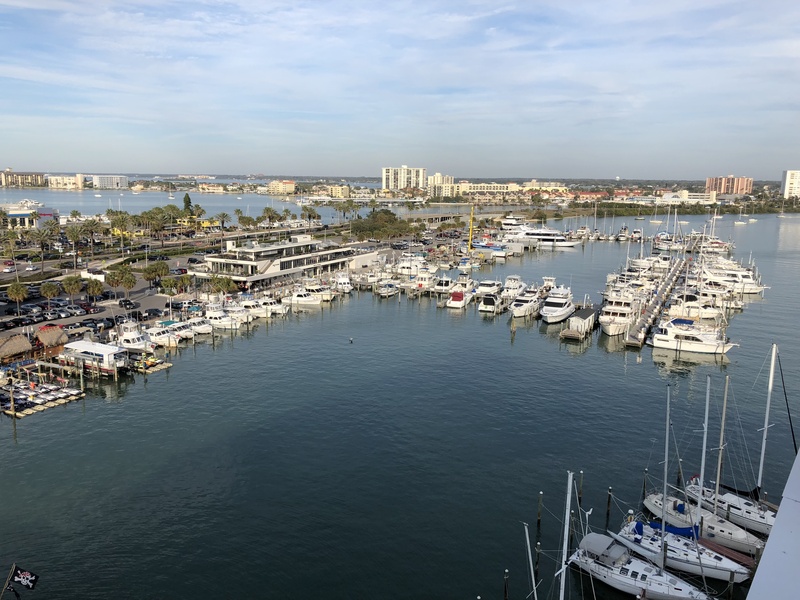 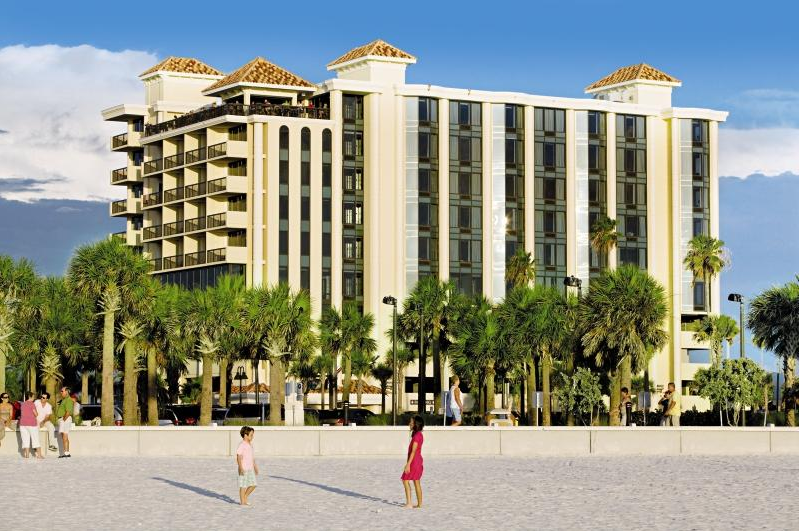 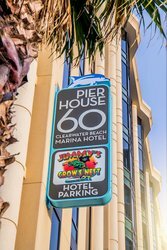 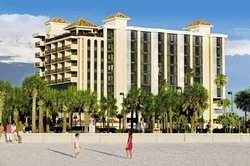 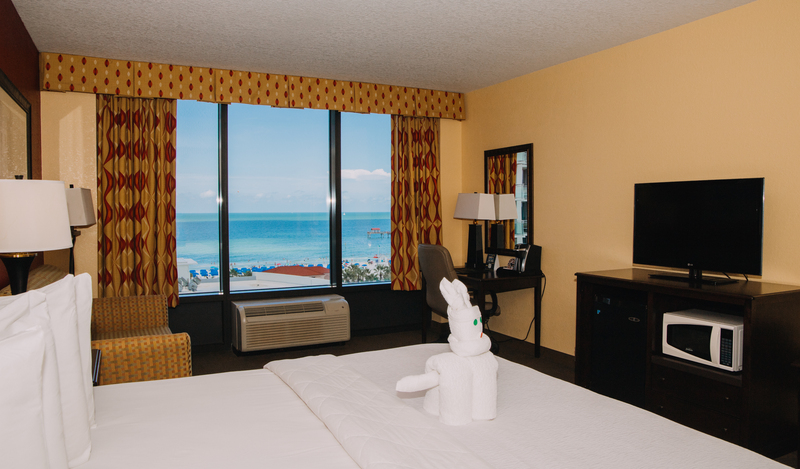 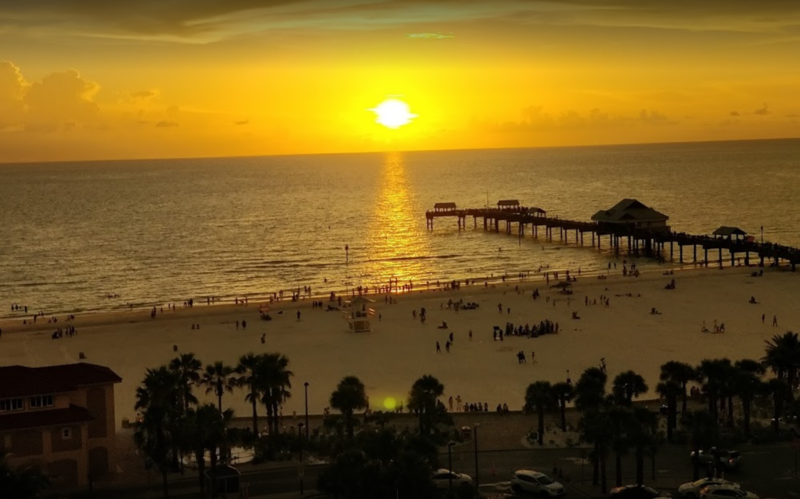 You can’t beat the location: walk across the street to Clearwater Beach and start enjoying the year-round sunshine in Florida right away when you stay with us! 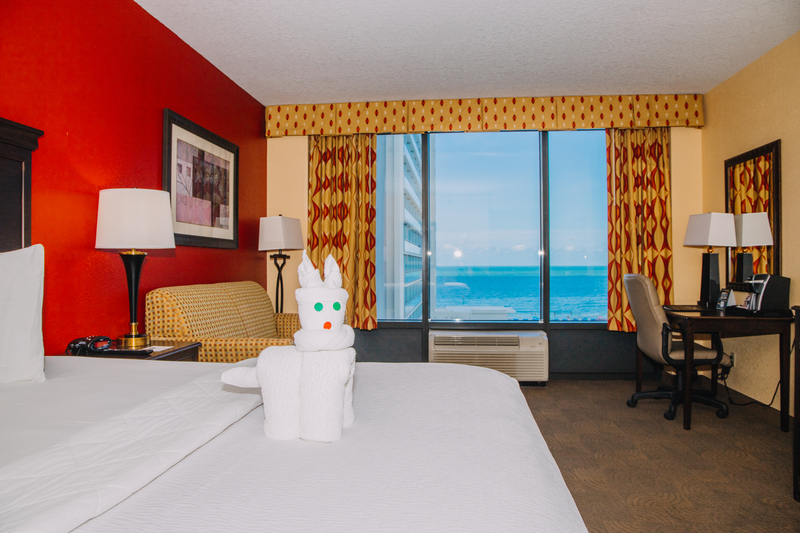 Not just here for the beach? 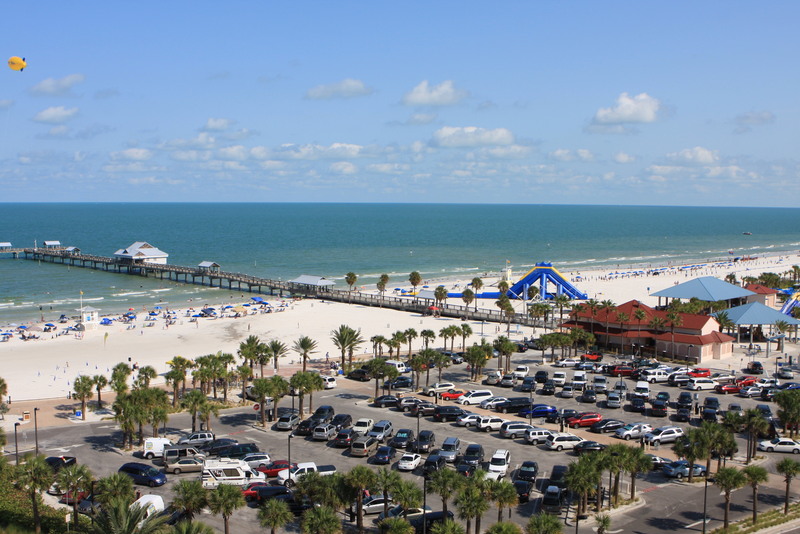 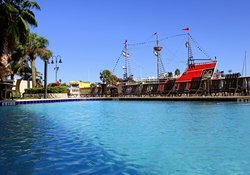 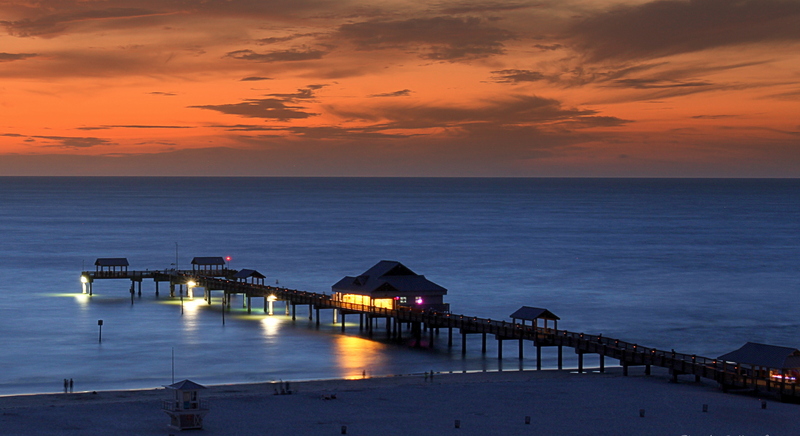 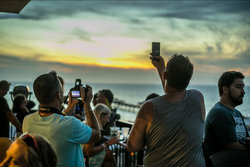 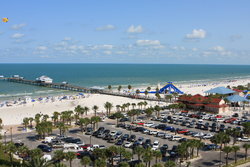 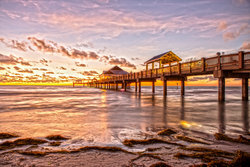 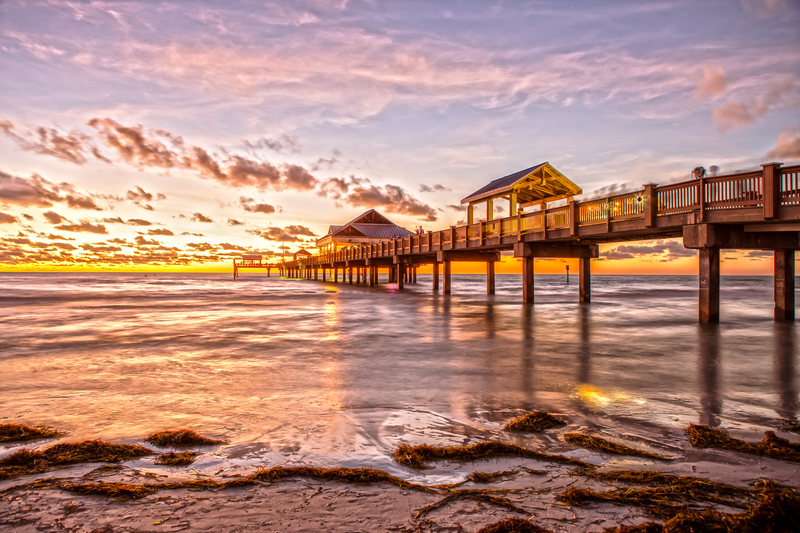 There’s fun on the gulf and the land, and a variety of shopping and nightlife to keep you busy.